In the seventh inning, lead on the line, Houston manager Art Howe let his young pitcher Chris Gardner pitch. Howe let Gardner pitch with the tying run on second and a batting champion candidate in Willie McGee up at bat. "That was a great confidence-builder," Gardner told The Associated Press after his first major league win. "But it was even more of a confidence-builder when I got (McGee) out." Gardner picked up his first major league win that day in his fourth major league start. He would see big league mound just once more, days later, marking the extent of his major league career. Gardner's pro career began in 1988, taken by the Astros in the sixth round of the draft, out of Cuesta College in California. Gardner started in the rookie Gulf Coast League, going 4-3 in 12 outings. He then played both 1989 and 1990 at single-A Asheville. His second year there, he went 5-10 in 23 starts. For 1991, though, Gardner took off. Assigned to AA Jackson, Gardner went 13-5 over 22 starts, with a 3.15 ERA. By September, he was in Houston. Gardner debuted with Houston Sept. 10, going five innings and giving up six earned runs for the loss. In his third start, he went into the sixth inning, giving up just a single earned run. In all, Gardner got into five games, posting a final ERA of 4.01. For 1992, Gardner stepped back to AAA Tucson. In 20 starts there, he went 6-9, with a 5.69 ERA. He didn't see Houston. He also didn't see a game all the next year. 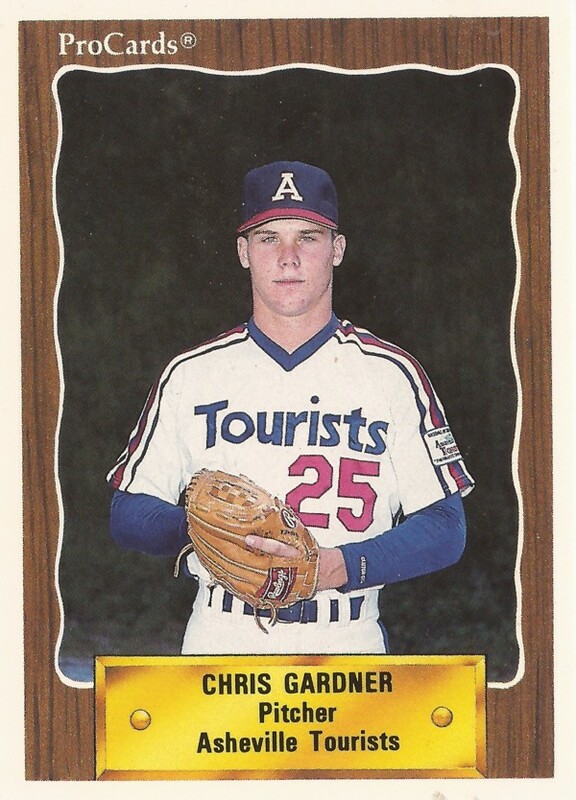 Gardner returned for 1994, playing between Jackson and Tucson. He went 6-6 between them, with a 5.04 ERA. One more season with Tucson and Gardner's career was done.